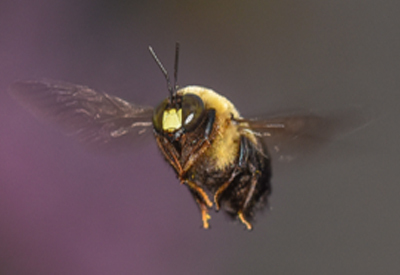 Note: A bumble bee generally has a hairy abdomen whereas a carpenter bee has a smooth shiny abdomen. Looking to get rid of bumble bees? Bumble bees can be prevented through inspection of potential nesting areas and removal of potential harborage materials. Because bumble bees will sting when threatened, homeowners are advised to seek out a bee pest control service rather than try to address the infestation themselves. So, play it safe and call Arrest-A-Pest, Inc. and save yourself the pain of a bee sting, or multiple stings.